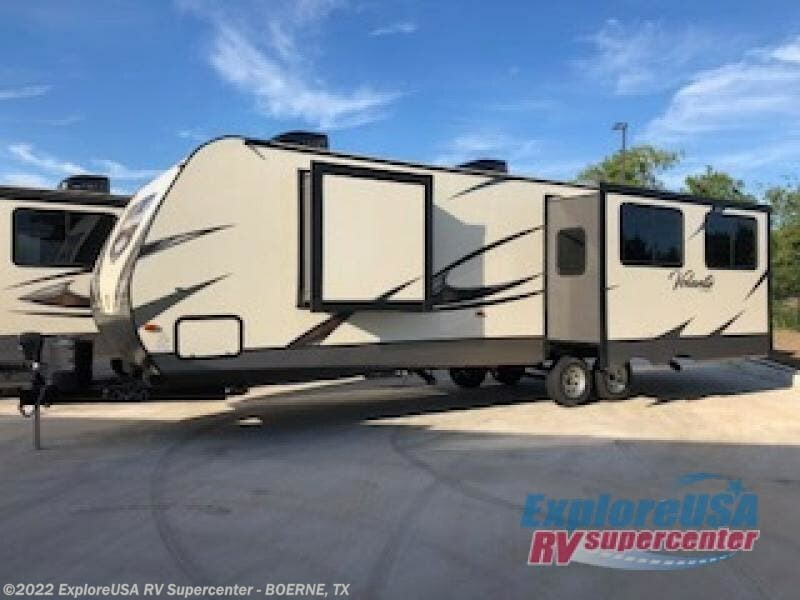 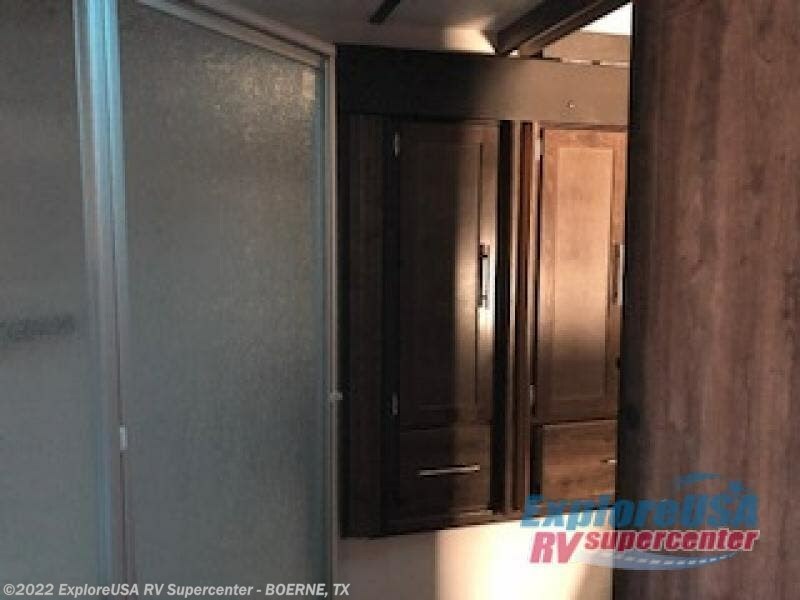 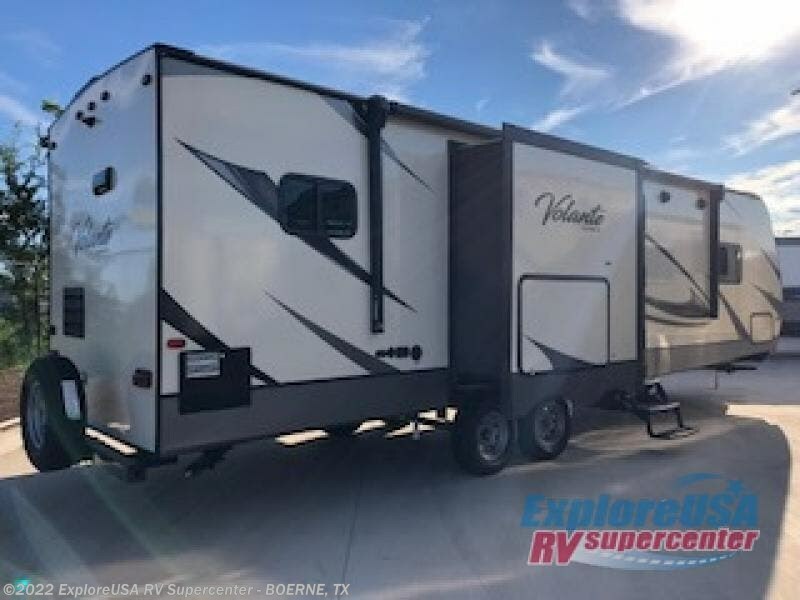 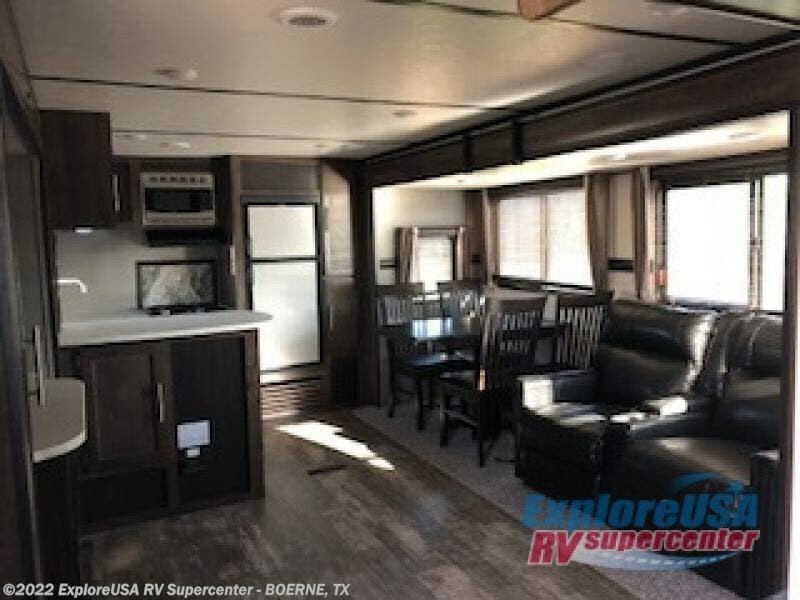 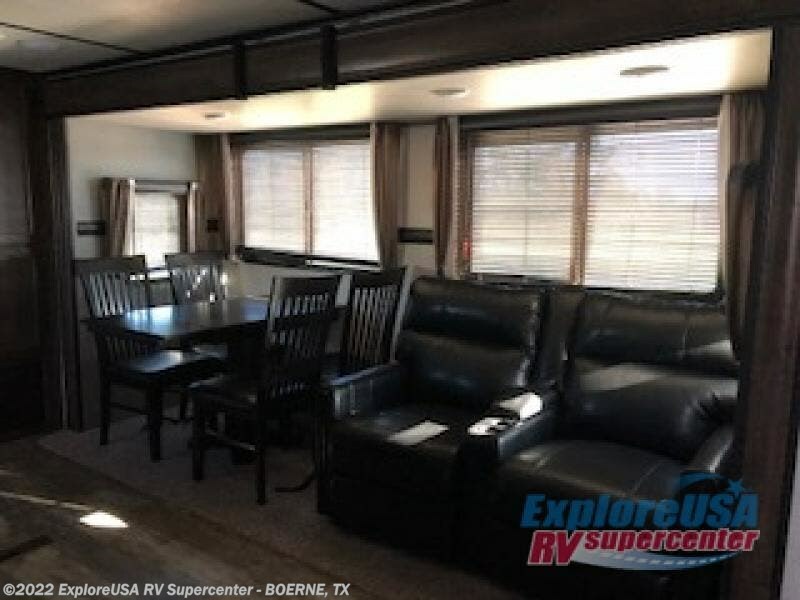 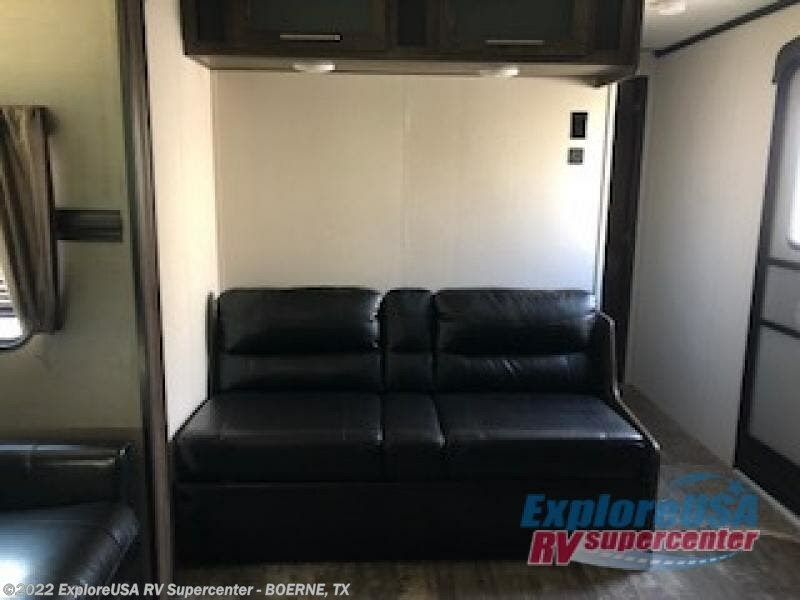 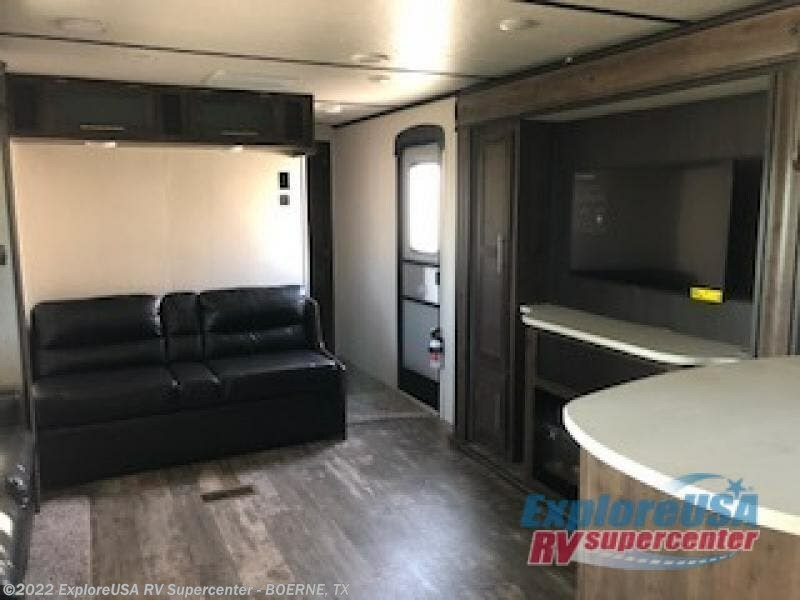 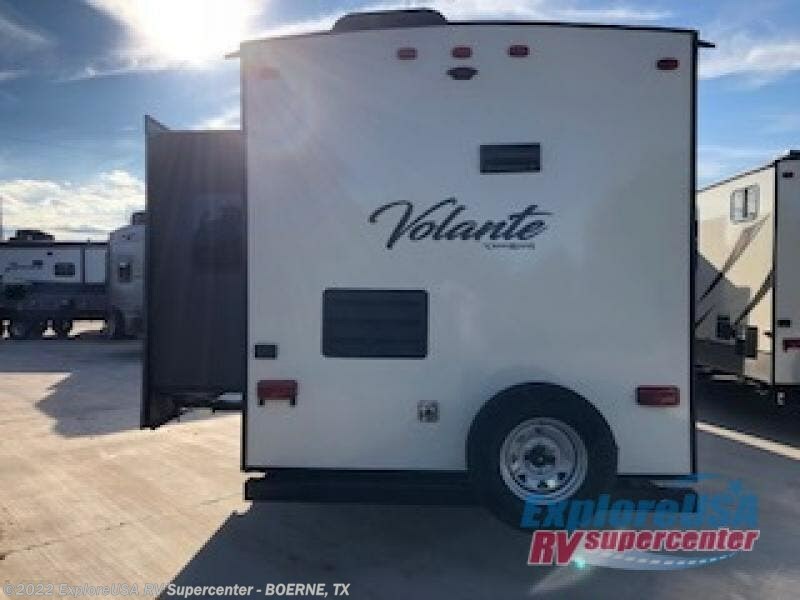 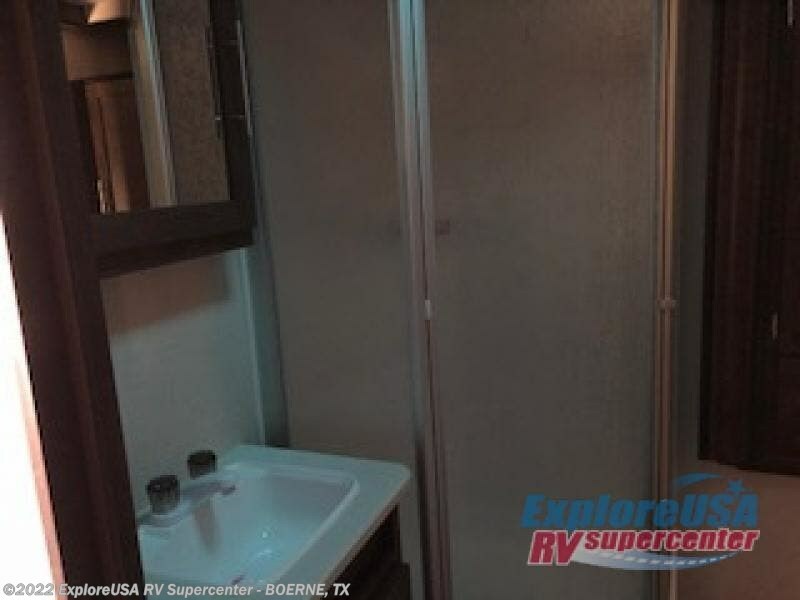 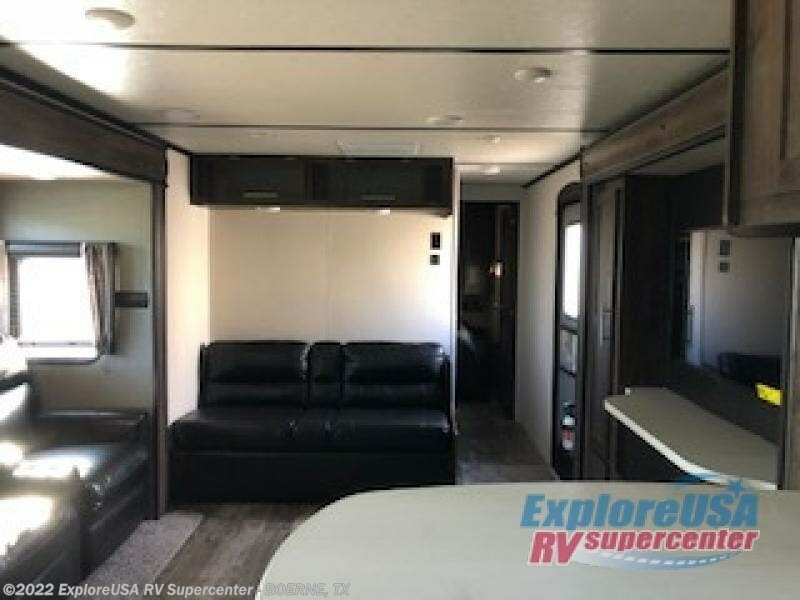 When you are ready to get out and enjoy beautiful nature, load up this triple-slide Volante travel trailer by CrossRoads RV and set out to the destination of your choice. 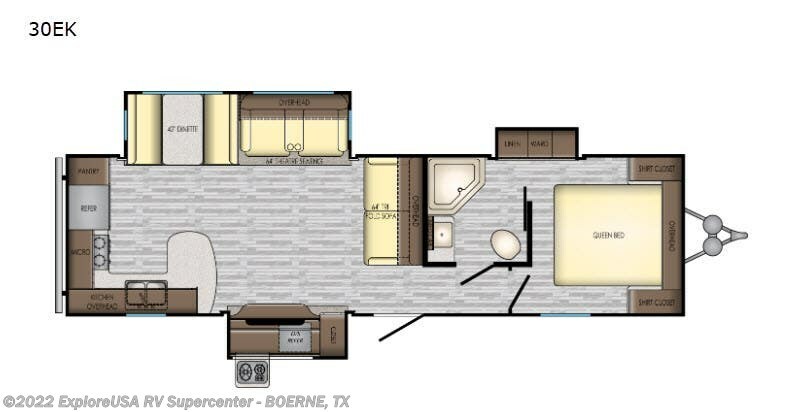 This model features a unique rear kitchen where you can easily fix your favorite meals for your crew. 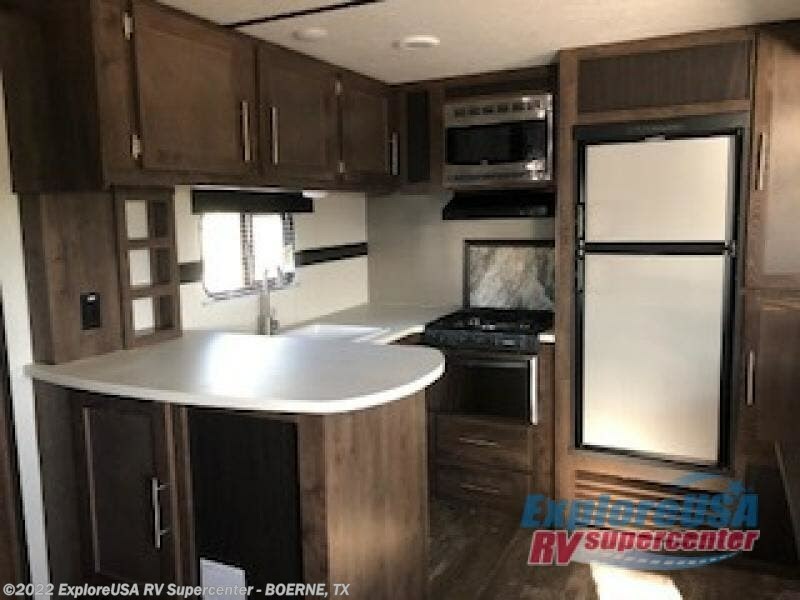 Most of the appliances are along the rear wall, and there is a wrap-around counter which gives you plenty of room to work. 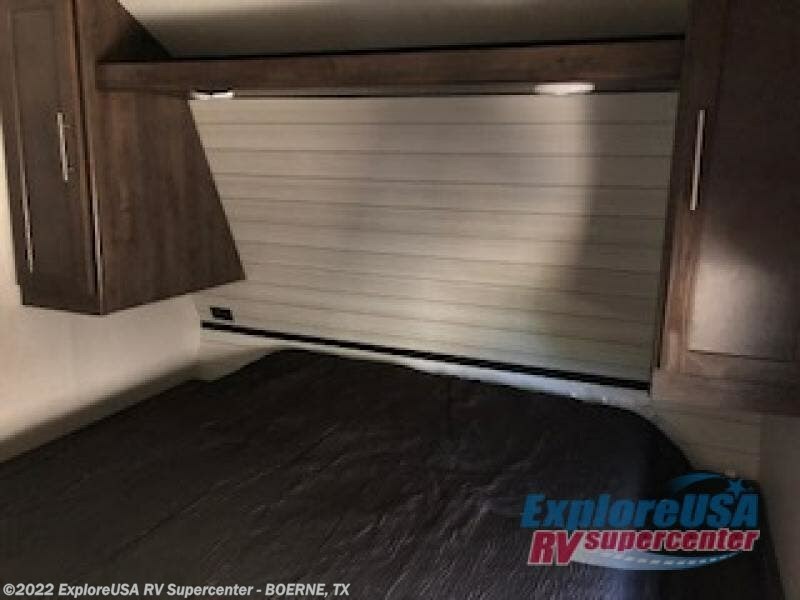 The opposing slides in this area are what open up the interior and give you the space you need. 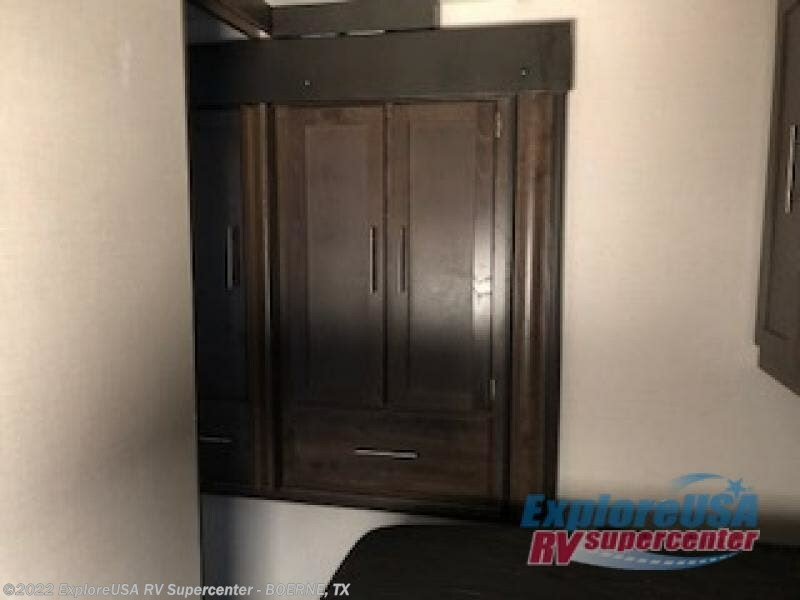 Each night you will rest peacefully on the queen-size bed in the private master suite, and the slide-out wardrobe will give you lots of storage for your clothes and camping gear. 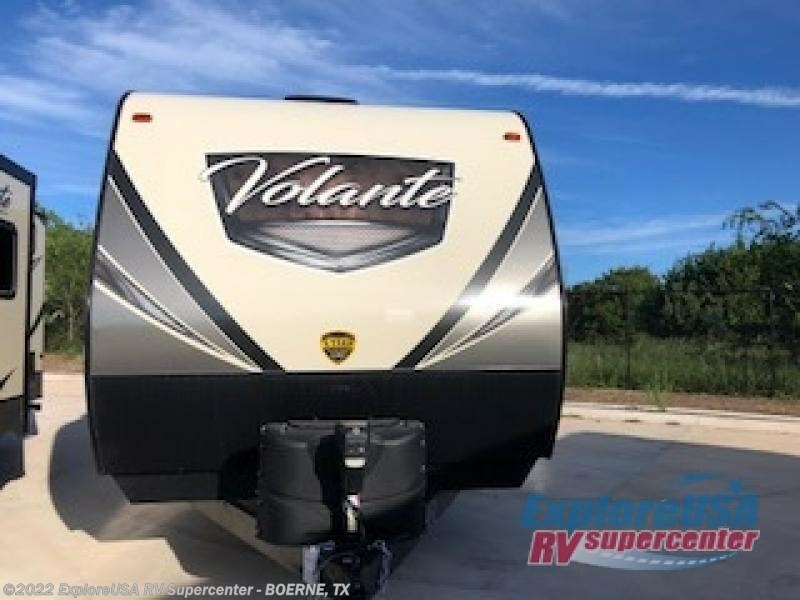 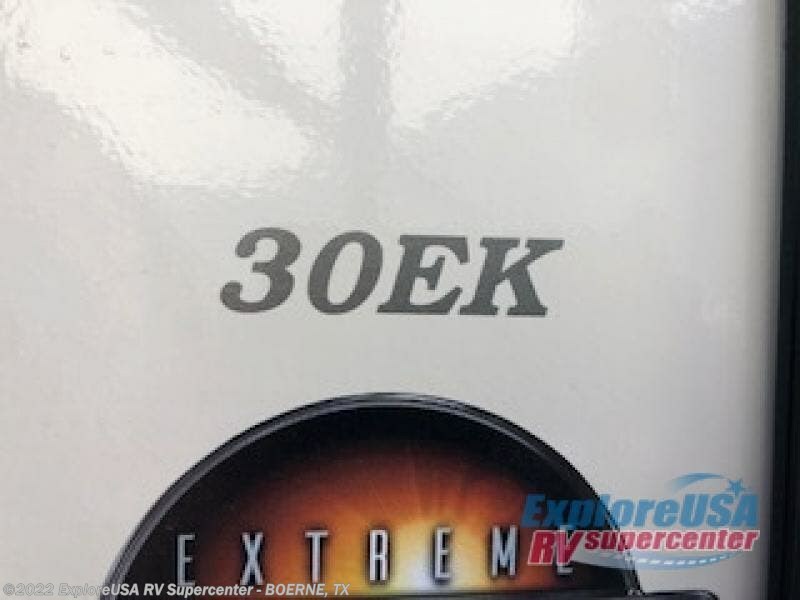 Check out Stock # S2842 - 2019 CrossRoads Volante 30EK on crossroadsrvsource.com!